DNB Image Institute Of Post Graduate Medical Education & Research Hyderabad 2009. D.L.O Rangaraya Medical College,Kakinada 2006. Managing all PAEDIATRIC AIRWAY AND ADULT AIRWAY & ENT EMERGENCIES, like foreign body removal from EAR, NOSE, THROAT . Worked as “Visiting Doctor Fellow in the ENT Department of LAUSANNE UNIVERSITY HOSPITAL”, Switzerland . Certified Balloon sinuplasty expert training programme completed on 7th & 8th October 2016, in Hyderabad. Trained in PEDIATRIC AIRWAY RECONSTRUCTION SURGERIES Dept. of PEDIATRIC ENT, CHUV . SWITZERLAND. Hands on Cadaveric temporal bone workshop held in Sri Ramachandra Medical College& research institute held on 27th& 28thNov 2004, Chennai. Live workshop on Basic surgical techniques in ENT held at Kakatiya Medical College Warangal on 18th Dec 2004. 1st International Course on FESS & Anterior Skull base surgery held at Jain ENT hospital Jaipur, on 17-19th Dec 2005. AOI- AP Silver Jubilee Conference 2006 at Vijayawada on 8-10th Sep 2006. FESS Workshop at Govt ENT Hospital Koti, HYD on 28th&29th July 2007. 1st National Live Basics in Phonosurgery Workshop on 22nd Sep 2007 at Medwin hospital Hyd. International Workshop on Cochlear implant& Advanced Otology held on 27th& 28thOct 2007, Apollo Health City, Hyd.AOI AP Southcon 2008 Hyd. 4th South Zone & 27th AOI A.P State conference on 17th -19thOct 2008 Hyd. Participation in Model OSCE 09 on 8th march 2009, at MERF Chennai52nd CME & Live Otology surgical Workshop on 28th Feb 2010, at Hyderabad Research Foundation, Hyd.International Pediatric Otolaryngology Conference ,14th Annual Conference of AOI on 13th& 14th March 2010 at Govt ENT Hospital, Koti, Hyderabad.4th work shop on Phono surgery and Hands on Larynx dissection course held on 28 to 29 th August 2010, Bombay hospital,Bombay.International workshop on SIALENDOSCOPY ISWS 2010 Held at Yashoda hospital , Hyderabad on 14th Nov 2010. Awarded” Best Temporal bone Dissection” during Micro Ear Surgery & Temporal bone Dissection Hands on Workshop on 5th& 6th March 2011, at Sri Satya Sai ENT Hospital, Kurnool. Treasurer for Update on Pediatric Swallowing & Upper Airway Issues –A Multidisciplinary Approach on 12th -13th March 2011at Rainbow Children's hospital, Hyderabad. RHINOSNORE-2011-International CME and Live surgical workshop on RHINOPLASTY and SNORING on 2nd& 3rd July 2011 at District General Hospital, KING KOTI, Hyderabad.Update & Hands on BRONCHOSCOPY 2011. Foreign body in the Airway on 14th August 2011, Satya Sai ENT hospital, Kurnool. Participated in 30th State Annual Conference on 9th to 11th September 2011 at Narayana Medical college Nellore.Micro Ear Surgery & Temporal bone Dissection Hands on Workshop on 1st& 2nd October 2011. 1st National Radio frequency workshop in “ENT & FACIAL COSMOTIC SURGERY RFS 2012”.held at Yashoda hospital, Secunderabad on 11 march 2012. “Hands on ROBOTIC SURGICAL WORKSHOP” held on 29th July 2012 at KIMS hospital, Hyderabad. ANNUAL CONFERENCE 12th to 14th OCTOBER,2012, Vijayawada. PRESENTED A PAPER ENTITLED "NASOPHARYNGEAL CLIVAL CHORDOMA" at AOI 8th South zone & 31st AP state annual conference 12th to 14th October 2012, Vijayawada. Workshop on “ADVANCES IN DIAGNOSIS MANAGEMENT OF SLEEP APNEA & SNORING ON” 8th 9th December 2012, at Mediciti hospital,“Advanced Coblation training course”. Prof Qingfeng Zhang, At DALIAN MUNICIPAL CENTRAL HOSPITAL. CHAINA. on 21st , 22nd March 2013. “RADIO FREQUENCY & COBLATION WORKSHOP RafCob 2013” On 12th May 2013 Yashoda hospital, Hyderabad. Participated in “32nd Annual AP State Conference” 2013. Sept 13th to 15th GunturAwarded Dr.Singari Prabhakar Medal for Best paper among the Practicing ENT Surgeons of A.P. during 32nd Annual conference of AOI, A.P state held at Guntur on 13th to 15th Sept 2013.“AOICON 2014. 66th Annual Conference of the Association of Otorhinlaryngologist of India” 9th to 12th January 2014. JSS Medical College, Mysore. Presented Award paper on “EXTRA OSSEUS CLIVAL CHORDOMA OF NASOPHARYNX”. AOICON 2014. MYSORE. Treasurer for “Live workshop on ADVANCES IN DIAGNOSIS AND MANAGEMENT OF SLEEP APNEA & SNORING "on May 11th 2014. held at TAJ Daccan. HYDERABAD. “THE SUMMIT 2014 – Sinus & beyond” On 16-17th AUG 2014 at Jain ENT Hospital, Jaipore.Faculty and Invited Speaker for 3rd Annual conference of Indian Association of Surgeons for Sleep Apnea 16,17,18th January 2015. Hyderabad. 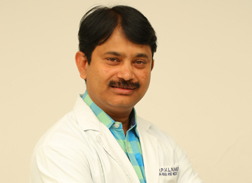 Participated in “Live International Workshop on Larynx & Airway” on 28,29th July 2015, by IMA & AOI Aurangabad, Maharastra.Participated in “1st All India Congress & Workshop on ENDOSCOPIC EAR SURGERY” ,on 22,23rd Aug 2015 at Continental hospital, Hyderabad. Presented Junior Consultant Prize Paper on “PERSISTANT CRANIOPHARYNGEAL CANAL” at 1st AOI TS CON – 2015. On 12 & 13th Sept 2015 at Nalgonda.Attended “LAUSANNE AIRWAY COURSE” January 25th , 26th , 27th 2016. Lausanne, SWITZERLAND.Worked as “Visiting Doctor Fellow in the ENT Department of LAUSANNE UNIVERSITY HOSPITAL”, Switzerland. Received Faculty certificate for ”Advanced Coblation Technique workshop” conducted by Smith & Nephew on 7th -13th May 2016.India. [Dr.Michael Timms]As a Faculty for “CME on Snoring & OSA” on 12th June 2016 at Star Hospital. Hyderabad. and presented “Pathophysiology of OSA”. Participated in the “Management of Pediatric Airway and Swallowing Disorders CME” on 8th 9th 10th July 2016, KMC, Manipal Hospitals. Bangalore. Participated in South zone conference on 7th 8th & 9th Oct 2016 at Hyderabad. Awarded “Best Paper among the participating ENT surgeons of A.P during the 30th State Annual Conference of AOI, A.P state held at NELLORE on10th Sept 2011. Awarded Dr.Singari Prabhakar Medal for Best paper among the Practicing ENT Surgeons of A.P. during 32nd Annual conference of AOI, A.P state held at Guntur on 13th to 15th sept 2013. Awarded Dr.Singari Prabhakar GOLD Medal for best paper among the Practicing ENT Surgeons of A.P on “33rd Annual conference of AP state conference” 12, 13, 14th sept 2014, Karimnagar. Awarded “Best Paper among the participating ENT surgeons of A.P during the 30th State Annual Conference of AOI , A.P state held at NELLORE on10th Sept 2011.